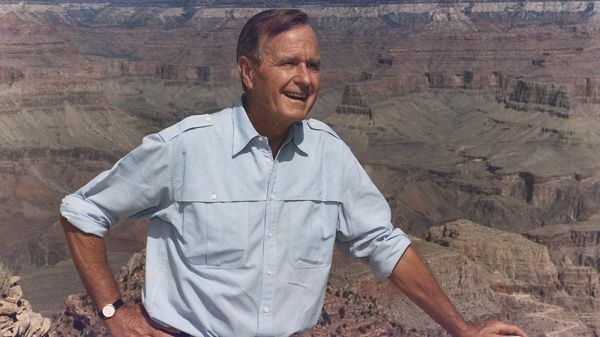 This week, along with the rest of the nation, we mourn the passing of our 41st president, George H.W. Bush, on November 30, 2018. This week, along with the rest of the nation, we mourn the passing of our 41st president, George H.W. Bush, on November 30, 2018. In addition to other parts of his legacy, President Bush enjoyed the distinction of having the most national marine sanctuaries (six) designated during any presidential administration. Cordell Bank was designated on May 24, 1989, the eighth national marine sanctuary and the first during President Bush’s tenure. After three successive vessel groundings destroyed thousands of acres of coral, he signed the Florida Keys National Marine Sanctuary and Protection Act in 1990, stating: “Today I take great pleasure in signing H.R. 5909 – a bill that designates 2,600 square nautical miles of coastal waters off the Florida Keys as our nation's ninth national marine sanctuary. The new Florida Keys National Marine Sanctuary covers the entire Florida reef tract…My approval of the legislation demonstrates this nation's resolve to preserve ecologically unique ocean areas.” The act not only created the sanctuary but provided for the creation of a comprehensive Water Quality Protection Program.